I’m going to sound like a cranky old guy today which may or may not be an apt description of how I’m feeling. Please don’t confuse the tone with the message. I have been thinking for quite a while about this and I guess it’s time to get it off my chest. I’m sad for an entire group of young people. Without painting with too broad a brush stroke, there seems to be an entire generation of youngsters I’ve been encountering more and more often that I’ve come to call “Generation Whatever.” Let’s call them “GenW” for short. I’d characterize them as “along for the ride.” They do the work that’s asked of them and not much more. They seem way more interested in what’s happening on their phones than what’s going on in front of them. They’re generally not particularly proactive. This has nothing to do with their smarts – many of the GenW’s I’ve encountered are well-educated and pretty intelligent. No, this has to do with attitude. One of the things about which I’m proud is that I’m a damn good teacher – references available on request. Over the years I’ve developed a lot of very fine executives and inherent in each of them was a willingness to learn and a desire to improve. Lately it seems that when I start down the development path with a number of GenW’s I get their stock answer as we discuss where things can get better. You realize that inputting data that way will make it difficult to search and compile information later? Whatever. You used a spell-check but didn’t read it yourself so this newsletter copy uses a homophone of the correct word. Whatever. I’m not talking about slackers here. They’re generally not goofing off. They just don’t seem to have any sort of professional attitude. Perhaps for many of them it’s just their day job – what they do to earn the money that allows them to pursue what they love. Maybe they were indulged as children and never made to take responsibility. Maybe I’m just too damn old but I don’t think so. I’ve discussed my thinking with other professionals 20 years younger than I am and they share the feeling. Maybe it comes from a world in which version 1.0 of anything is usually riddled with errors and gets continual updating (How do we test software? We release it!). Maybe much of the business world has fallen to lower standards so they don’t feel so out of touch. Maybe they are really perfectionists who are trying to protect themselves from embarrassment, criticism, anger and the withdrawal of love or approval. I’m not sure and I’m not sure I care. All is know is that it doesn’t bode particularly well for any of us in business. Am I off base here? 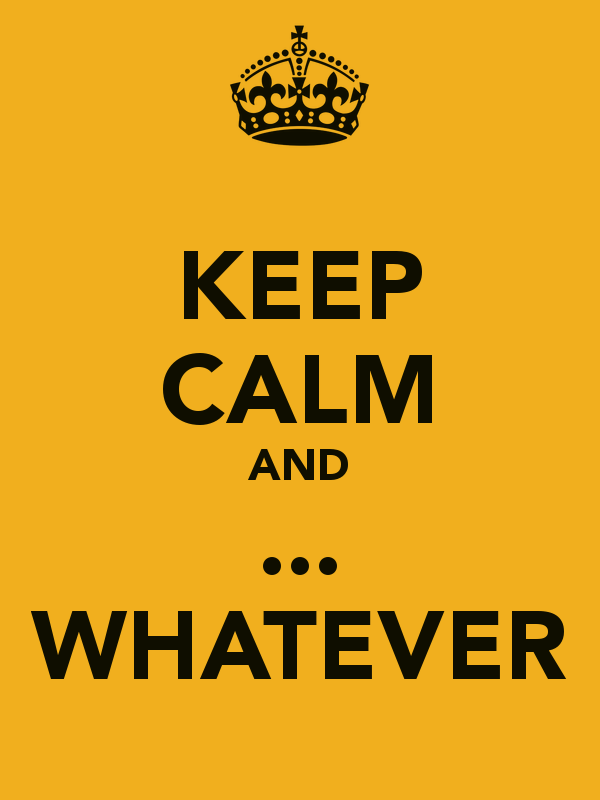 And PLEASE – any comments of “whatever” are really not appreciated! I’m of two minds on this. On one hand, I meet a lot of young people emerging from college a hell of lot more prepared to start a career than I was. On the other, I continue to be amazed by the cluelessness of some of those same young people when it comes to what they share on social media, and the fundamental lack of understanding of how damaging that can be.